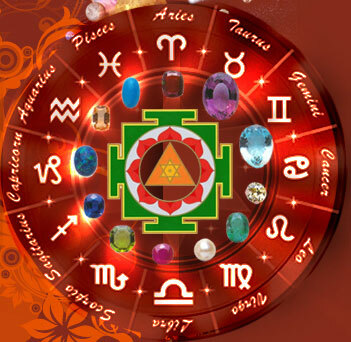 The knowledge that we have on Jaimini Astrology today is based on an ancient text known as Jaimini Sutras, which is divided into four chapters or Adhyayas, where this unique system of Hindu astrology has been explained in about 1000 sutras. In many cases the meaning of these sutras are very confusing and difficult to understand. The sutras in themselves are very short and concise in composition and a kind of coded language has been used. Naturally, this has lead to some errors and misunderstandings in the different translations and commentaries. Cardinal signs: Aries, Cancer, Libra and Capricorn. Fixed signs: Taurus, Leo, Scorpio and Aquarius. Common signs: Gemini, Virgo, Sagittarius and Pisces. A planet in a Cardinal sign aspects all the Fixed signs, except the sign located next to it. A planet in a Fixed sign aspects all the Cardinal signs, except the sign located previous to it. A planet in a Common sign aspects the other three Common signs. When a planet is placed in say Gemini, which a Common sign, then it will aspect Virgo, Sagittarius and Pisces, since they are the other three Common signs. Normally, we consider karakatwa or significations to be always the same in case of each planet. We use the Sun for father, the Moon for mother, Mars for brothers, Jupiter for children, Venus for wife etc. etc. This kind of Karakas is known as Sthira-Karakas, meaning fixed significators. In Jaimini astrology a number of different Ascendants or Lagnas are involved obviously for a lot of different purposes. There are Arudha-Lagna, Upapada-Lagna, Chandra-Lagna, Bhava-Lagna, Hora-Lagna, Ghatika-Lagna, Nisheka-Lagna, Karakamsha-Lagna and Varada-Lagna just to mention some of them. I have found some of these Lagnas to be highly useful. Upapada works like a kind of relationship-axis. It can be used in cooperation with the normal Ascendant to get a second opinion about elder and younger coborns from the 3rd and 11th house and about children from the 5th and 9th houses. In the same way the 2nd and 7th houses from Upapada can be used profitably in connection to marriage and family. However, I only think Upapada should be used in connection to relations like marriage, sibling and children. To find out about profession, educations, land and house etc., I would use the Karakamsha. The Karakamsha-Lagna is simply identified from the Navamsa occupied by the Atmakaraka. But the Karakamsha is used in the birth-chart (Rasi Chakra) rather than the Navamsa-Chart. This was clearly explained for the very first time in Mr. K. N. Rao's book Karakamsha and Jaimini's Mandooka Dasha, and this information opened a whole new dimension to me, since a number of important predictions can be given based on Karakamsha. Jaimini himself is very specific about this and has explained about the meaning of the planets in the 12 houses from Karakamsha in a very elaborate manner covering almost a complete chapter in his Jaimini Sutras. In some cases where the birth time was doubtful and I could not find out the correct Ascendant, I have depended completely on the Karakamsha-Lagna and got some very nice delinations from that. In Jaimini-astrology the Dasa-systems are based on Rasis or signs and not on Nakshatras and planets like in Vimsottari Dasa etc. There are many different Dasas in Jaimini like Chara-Dasa, Sthira-Dasa, Trikona-Dasa, Shoola-Dasa, Varnada-Dasa, Navamsa-Dasa, Brahma-Dasa, Yogardha-Dasa, Drig-Dasa and Mandooka-dasa just to mention a few of them. However, with many of these Dasas there seem to be certain conditions like planetary patterns that have to be fulfilled, meaning that many of the Dasa-systems should not be used unless their particular conditions are present in the horoscope under consideration. 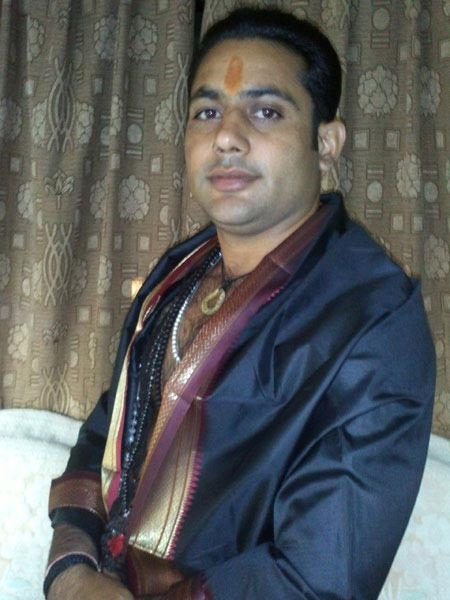 These unique sign-based Dasa-systems are the backbone of the timing of the events in Jaimini Astrology, and if used together with the transits it is possible to make fairly accurate predictions from them simply by following the predictive rules given in Jaimini Sutras combined with good judgement and practical experience.